Dinosaurs and other prehistoric creatures, roaming the Earth tens of millions of years ago, have always held a powerful (and often terrifying) fascination – and yet their behaviour still remains an enigma because palaeontology is dependent solely on the remains of ancient creatures. However, Dave Hone, in his fascinating talk to mark our sixth birthday on October 24th, showed how it is possible for trace fossils to give an insight into dinosaur behaviour, including whether they behaved as “social” animals working together. 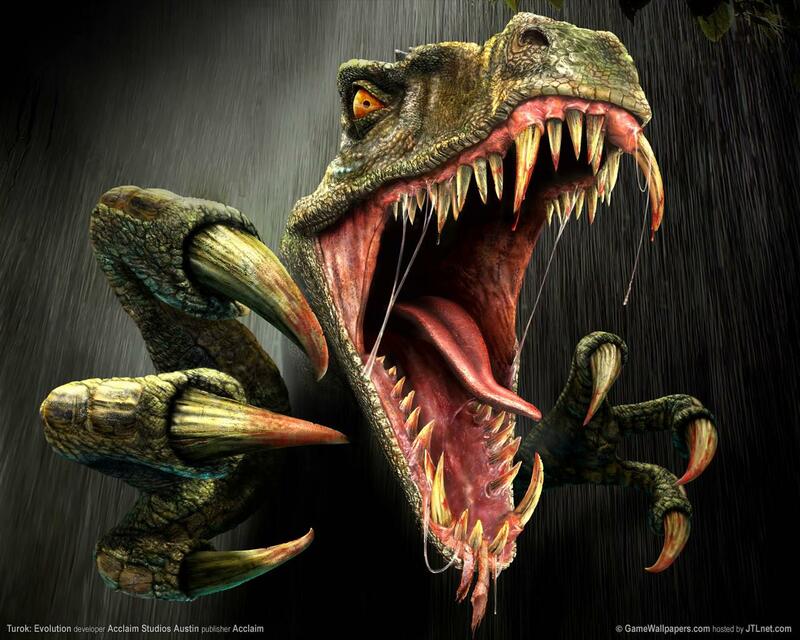 In addition, computer simulations and comparisons with modern animals can offer clues to the behaviour of dinosaurs. Even so, Dave conceded that understanding this area of research still relies heavily on a significant amount of speculation. That said, Dave – who teaches at Queen Mary’s College, in London - told us there is agreement that some of the behaviour found in crocodiles and birds (dinosaurs’ closest relatives) was also common among dinosaurs and that gregarious behaviour was apparent in many dinosaur species. He suggested these creatures may have congregated in herds for defence, migration and also to provide protection for their young. There is also evidence that many types of dinosaurs, including various theropods, sauropods, ankylosaurians, ornithopods, and ceratopsians, formed groups of juveniles. Nests and eggs have been found for most major groups of dinosaurs and it seems likely they communicated with their young, in a manner similar to modern birds and crocodiles. Dave told us that dinosaurs such as centrosaurine ceratopsid, did not fully develop their head-features until fully grown and it has been argued that comparing ceratopsids to modern mammals with a similar life-cycle can provide an insight into the socio-ecology of these horned dinosaurs. The fossilized remains of a grouping of psittacosaurus, consisting of one adult and 34 juveniles, suggests that adults looked after their young – and in this case, the large number of juveniles may be due to communal nesting. Fossil deposits of ceratopsids indicate that these animals were at least in part social – although the exact nature of ceratopsid behavior has been open to debate. Aggregations of many individuals preserved in bone beds have compared them to similar modern occurrences in crocodiles and tortoises. 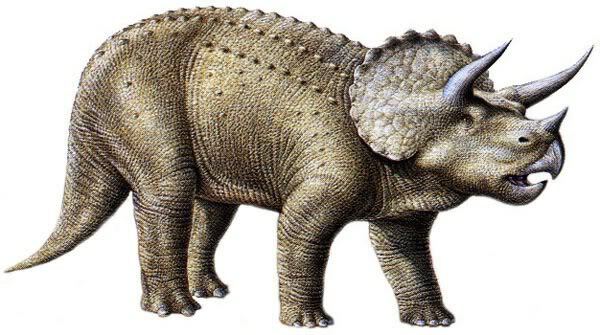 Others interpret these deposits as the remains of large, socially complex, herds - but some researchers, supporting the idea of ceratopsid herding, have speculated that these associations were seasonal. They suggest ceratopsids lived in small groups near the coasts during the rainy season and moved inland with the onset of the dry season – this being based on the greater abundance of bone beds in inland deposits than coastal ones. The migration of ceratopsids away from the coasts may have represented a move to their nesting grounds, with many African herding animals engaging in this kind of seasonal herding today. Dave said that herds would also have afforded some level of protection from the chief predators of ceratopsid - the tyrannosaurids. Indeed, the first potential evidence of herding centred on the discovery of 31 Iguanodon dinosaurs which were then thought to have perished together in modern Bernissart, Belgium, after they fell into a deep, flooded sinkhole and drowned. 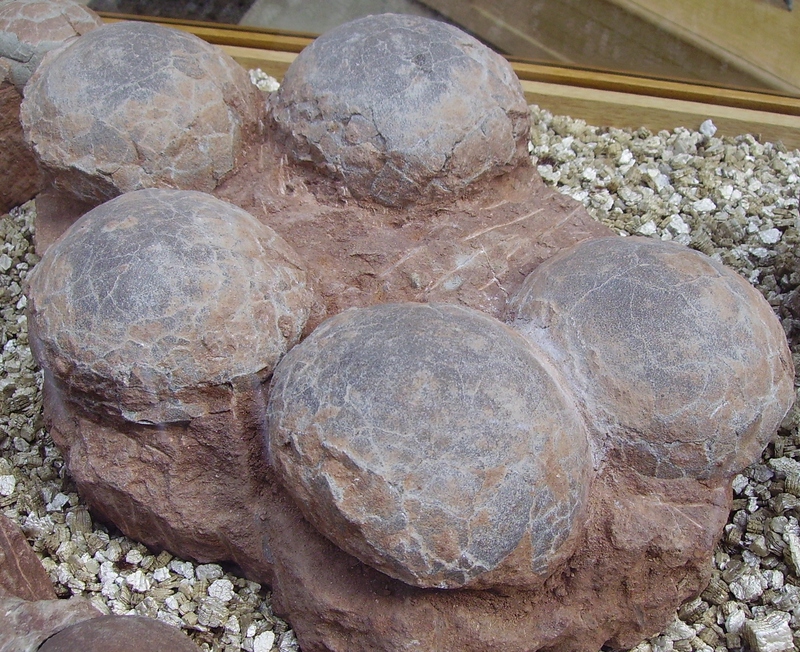 One example of immature dinosaurs forming social groups comes from a site in inner Mongolia that yielded the remains of over twenty Sinornithomimus, from one to seven years old, with this find interpreted as a social group that was trapped in mud. Another example is within a bone bed of the ceratopsian, Centosaurus in the Dinosaur Park Formation, Canada where a massive and rapid flooding engulfed and buried the remains of a large number of individuals, including juveniles. On a smaller scale, another well-preserved example is ceratopsian, Psittacosaurus in Liaoning, China, where six individuals of mixed ages were preserved after being killed. Such a group of hadrosaurs also provides evidence for mixed herding, as two or more species can be found adjacent to one another other. Indeed, Dave told us that fossil track-ways of hadrosaurs and sauropods, consisting of the footprints of several individuals of different sizes have been found within the same bedding plane. Footprints in such a track-way frequently go in the same direction and, in some cases, change direction together – and this provides powerful evidence that dinosaurs often travelled in herds consisting of adults and juveniles. In addition, a sauropod track-way from Oxfordshire shows two distinct types of sauropod footprint, which appear to come from two distinct species. This suggests that these dinosaurs may have formed mixed herds - in the same way as some African herbivores today.